Hd sound: Bluetooth V4.1+ EDR technology, along with CVC 6.0 super noise reduction technology provides lossless stereo sound. 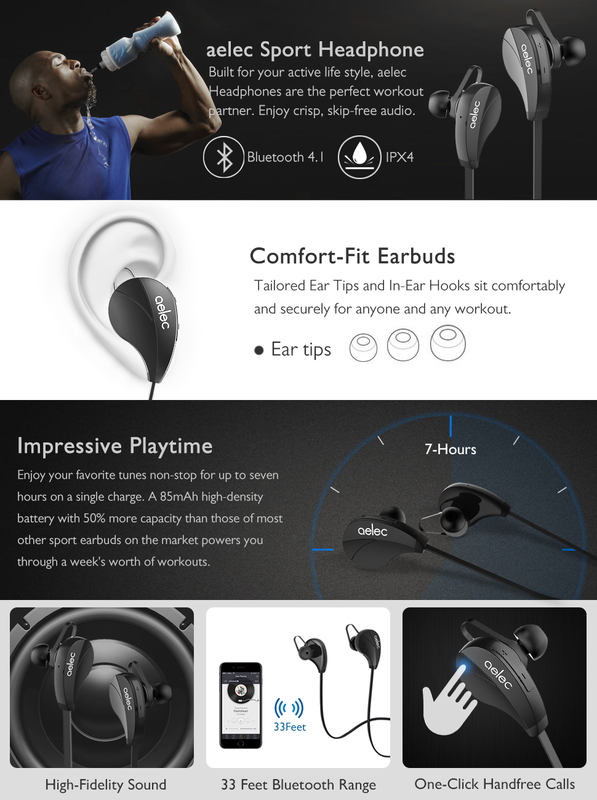 Sweat proof: never have to worry about you earbuds might got damaged by too much sweat because it is designed to be Sweatproof under lifetime guarantee. Connect multiple devices: never miss important calls or messages while watching TV or hitting the gym and sweating. Hibernation mode extends battery life also. Comfort wearing with secure fit: Designed in a ergonomic angle, The S350 can fit snugly in your ear without hurting your ear or popping off while moving around or working out. Lifetime hassle-free warranty: we not only offer a 30-day satisfaction guarantee, our products come with a lifetime hassle-free Sweatproof warranty and top notch customer service. ID-802 Telephone Call Blocker Block Nuisance..
CR123A Rechargeable Battery And 4-Slots Unive..